But now you can get the next best thing with this spectacular three-piece proof set! 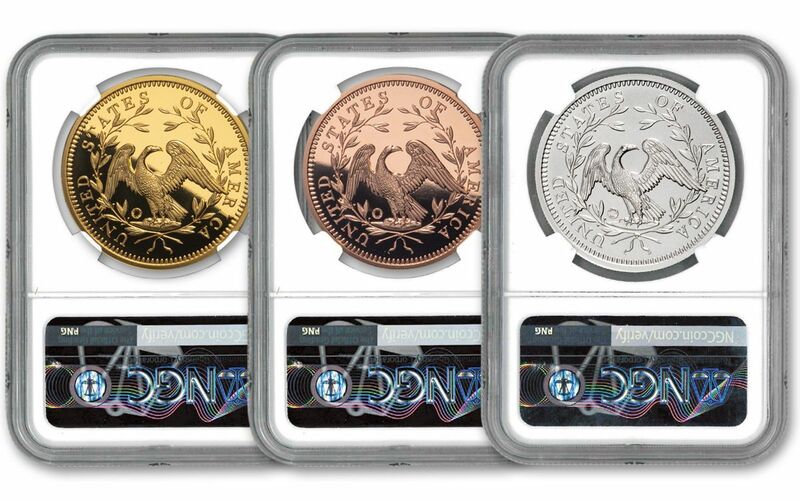 This set includes three proofs: a one-ounce 99.9% gold proof, a one-ounce 99.9% silver proof and a one-ounce copper proof. Each bears the iconic design of the original 1794 Flowing Hair Silver Dollar – a design listed by author and expert numismatist Jeff Garret in his book 100 Greatest U.S. Coins. Only 300 of these Smithsonian-authorized America’s First Silver Dollar One-Ounce Gold/Silver/Copper Three-Piece Sets will ever be released and they available only through GovMint.com and its marketing partners. Don’t miss this opportunity to hold history in your hands – secure one of these sets to your cart today! 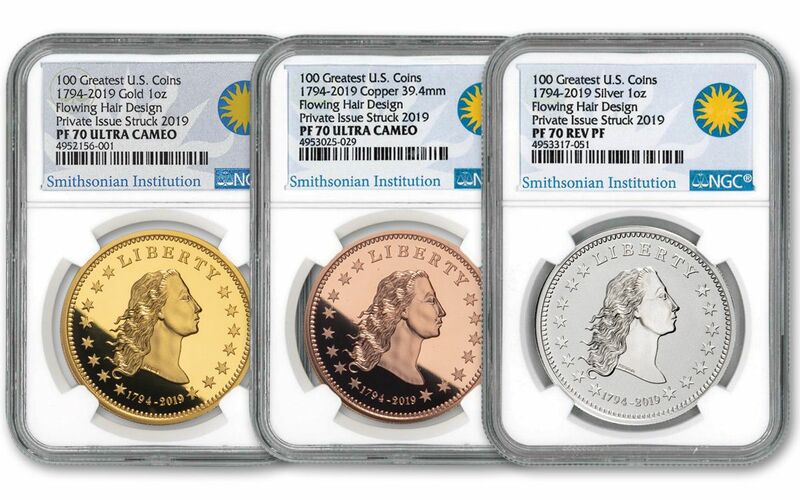 STRUCK IN GOLD, SILVER AND COPPER – These America’s First Silver Dollar Proofs are struck in one ounce of 99.9% gold, one ounce of 99.9% silver and one ounce of copper. EXTREMELY LOW LIMITED EDITION – Only 300 of these special sets have been struck for worldwide release. Commemorate the 225th anniversary of the Flowing Hair Silver Dollar with the America’s First Silver Dollar One-Ounce Gold/Silver/Copper Three-Piece Set. Order yours now!